.................HAND KNIT from hand processed MERINO WOOL......this is ALL knit...a complete envelope of all hand knit decorative bulky stitch...a lovely cocoon of softness, all around......closed inconspicuously by matching hand spun yarn for easy removal for dry cleaning or hand washing. 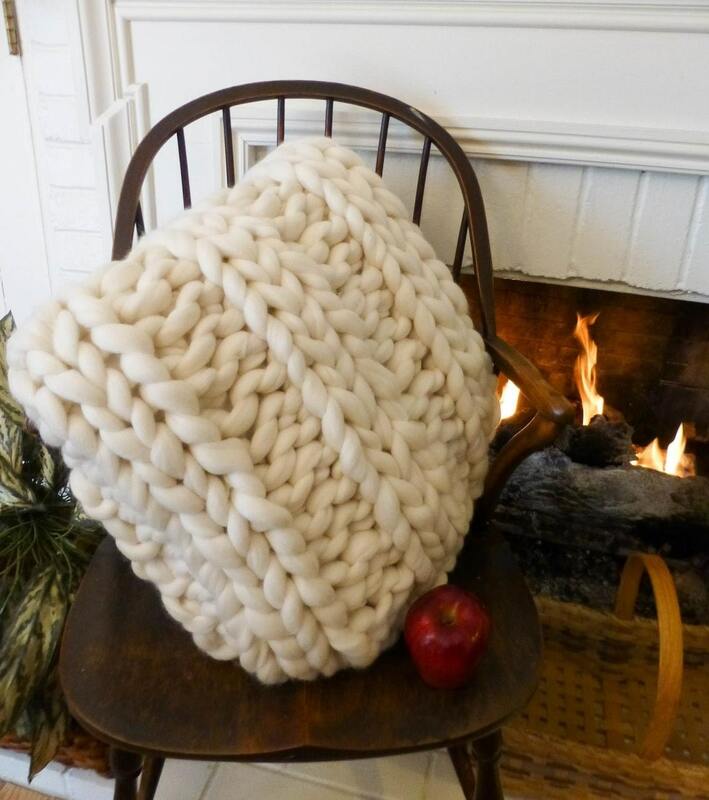 This is not made with unprocessed roving, but is lightly spun on my wheel, and fulled, and after the blanket is complete, it is once again fulled....this gives the wool extra strength, reduces pilling, and makes cleaning easier. The merino wool undergoes a "fulling" process that adds even more loft, strength and stability. Merino wool is next-to-skin soft, and this Merino (19.5 micron) is especially soft! 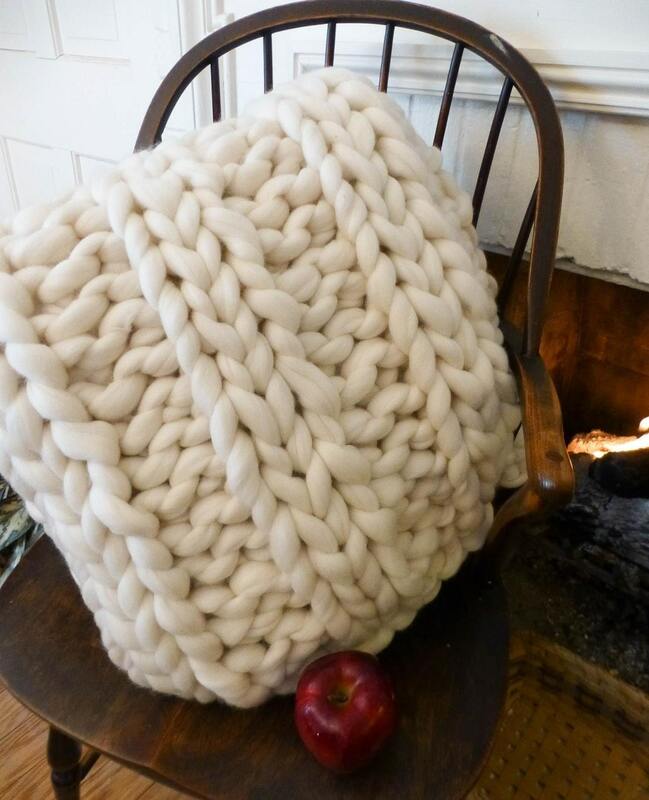 This is not made from a commercial yarn, each skein used is a unique, one-of-a-kind, pure SuperSoft hand spun SMOOSH yarn... Wool is a sustainable resource. Most Merino wool is produced organically, and the processing of wool requires very little environmental impact compared to other natural fibers or man-made fibers. Merino’s wool is 10 times stronger than silk.......This means Merino garments not only last longer, but also retain their appearance for a longer period. Filling: Premium pillow form...Its 100 percent polyester interior oozes softness and offers you solace after a busy day at work. 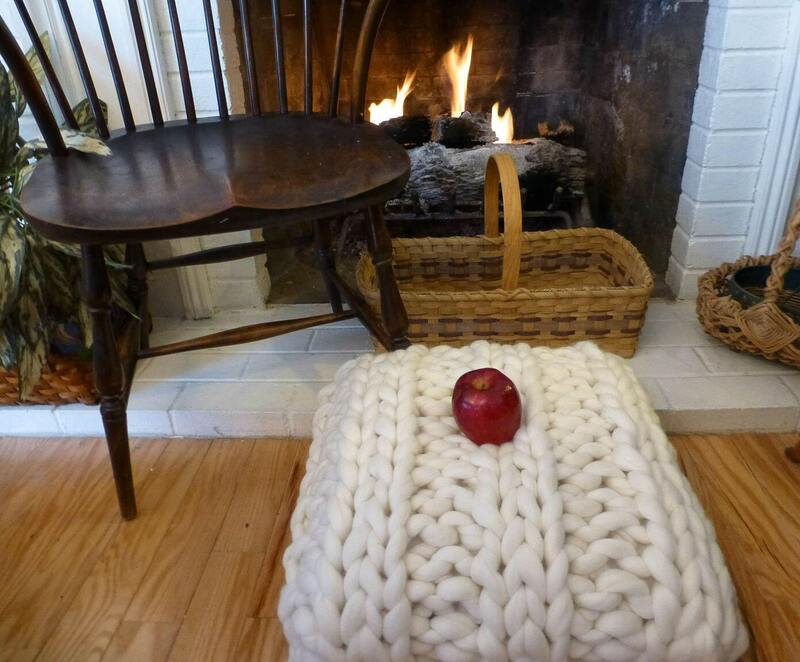 Plus this pillow form is both flame-retardant and washable for easy maintenance. 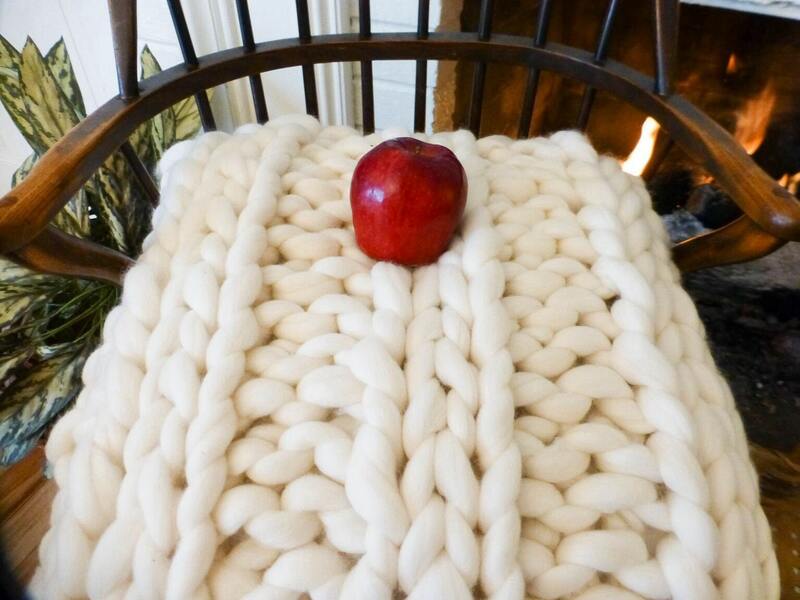 Due to the hand knit and hand spun quality of the this piece, the actual size may vary very slightly. Complete and ready for a home.? Shipped immediately, ribbon tied, tissue wrapped with name tag, care instructions and creation date.